The first large-scale action organised by the ANC was the ‘March towards Independence’, which began on June 30, 2012, and consisted of hundreds of rallying events spread over several months and the mobilisation of thousands of people every week throughout the country. 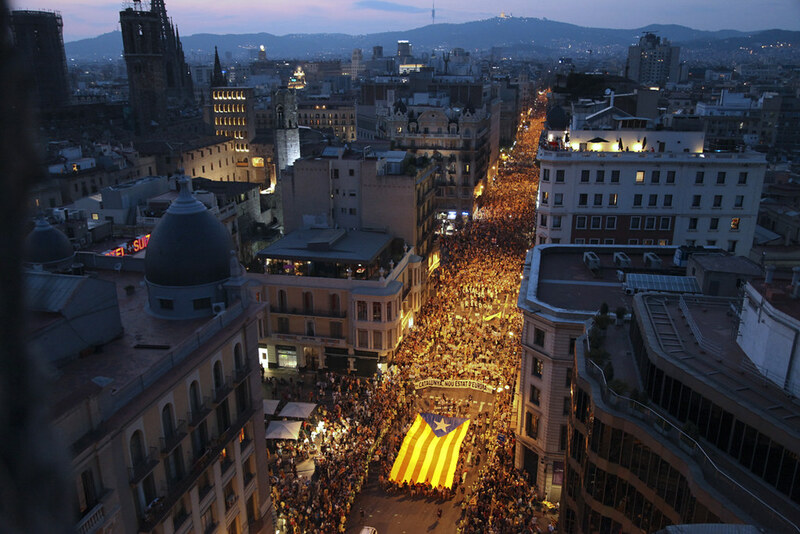 It reached its peak on September 11th 2012 when a massive 1,500,000-people rally filled downtown Barcelona. Right after the rally, Catalan president Artur Mas held a press conference and called a snap election in order to obtain a popular mandate to build a “state” for Catalonia.